Geranium is a diverse group containing types that grow in a range of conditions, from full sun to shade. Flower colors include pink, blue, white, and purple. Most geraniums blooms in midsummer, although some species will bloom in spring and fall. Plants grow 6 inches to 4 feet tall, depending on the variety. 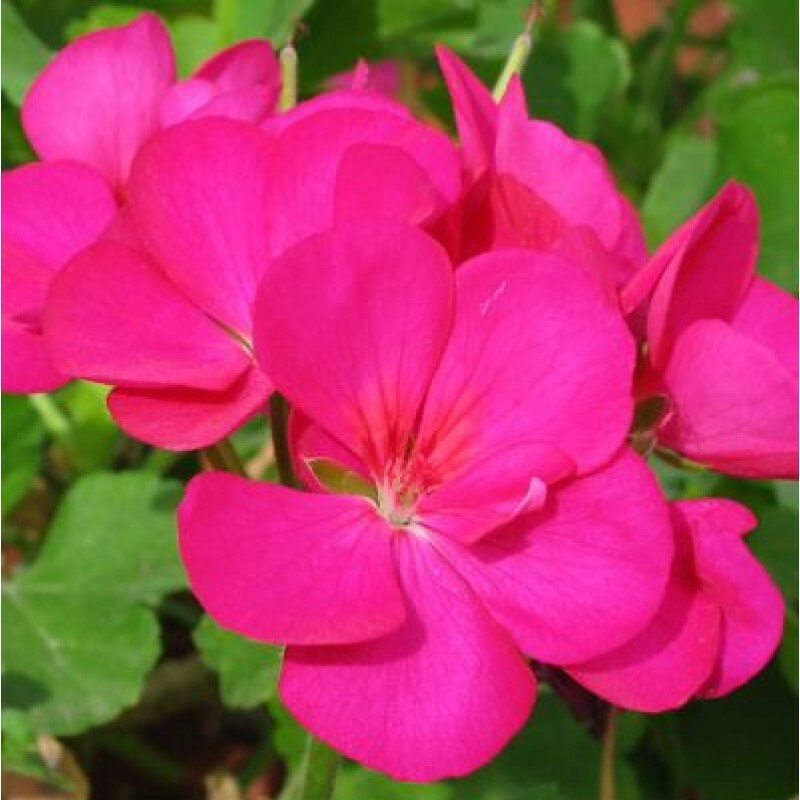 These true geraniums are not the annual flowers commonly grown in windowboxes, which are more properly referred to by their botanical name, Pelargonium. Geraniums are a longtime favorite of Almanac gardeners. They are easy to grow, colorful, and many add a lovely scent to the home. Although, they are also an outdoor plant, they can be kept indoors to overwinter. Or, they can bloom indoors all year long with enough light. When buying geraniums, look for color and size. Healthy leaves will have no discoloration on or below them and stems will be sturdy, not straggly. Be sure to avoid any plants with obvious signs of pests as well. Place plants in pots with drainage holes to avoid root rot. Do not use a saucer beneath your pot unless filled with pebbles. Use soil-less potting mixture (not dirt) when planting in containers. For maximum bloom, place the plants in an area where they will get 4-6 hours of sunlight daily. Allow to dry between waterings, then water thoroughly. During the winter water much less, but do not let the roots dry out. To encourage blooming, deadhead spent flowers. To promote bushiness and avoid legginess, pinch the stems. During active growing months, fertilize every 2 weeks. Use a water-soluable fertilizer at half strength. Don't fertilize in winter. Geraniums can be re-potted as needed during the spring to be refreshed.